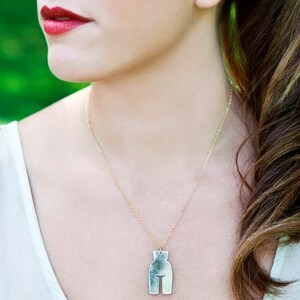 Sophia Bush was photographed wearing the “Ideal Woman” necklace from Allie Pohl during Fashion Week. The piece retails online for $48. LOVE the necklace! She is so gorgeous! Thanks for the chance to win!